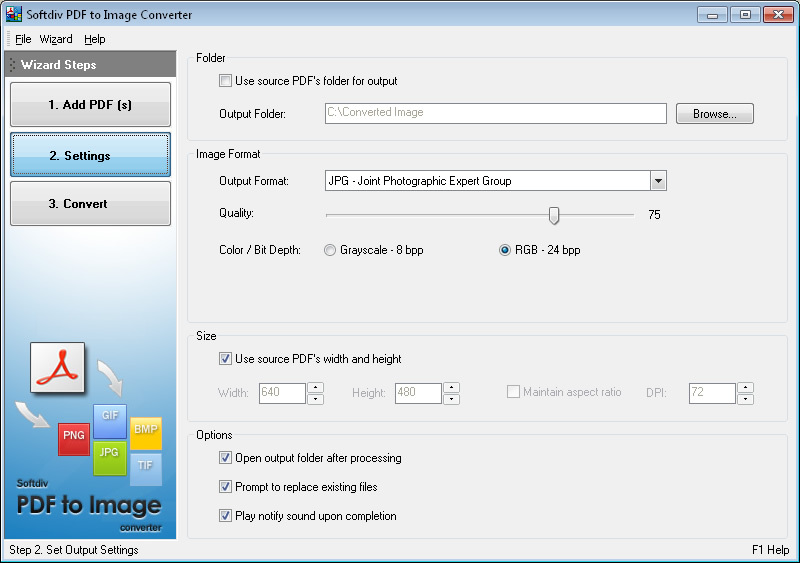 Convert PDF files to image formats PNG, JPG, BMP, GIF, TGA, TIFF, ICO, and more.
" 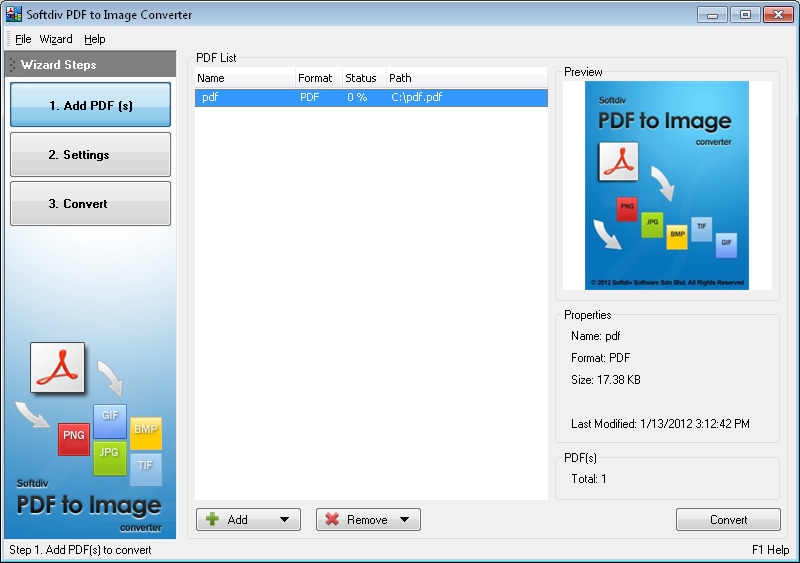 Softdiv PDF to Image Converter is a wizard-based application that extracts the pages of any PDF file and saves them as individual image files. The program supports all the most widely used image file formats (such as JPEG, PNG, GIF, BMP, TIFF, ICO, and TGA). Its fast conversion process produces high-quality images of the pages in your PDFs." User friendly interface with step by step wizard. Select and preview the PDF files before convert. 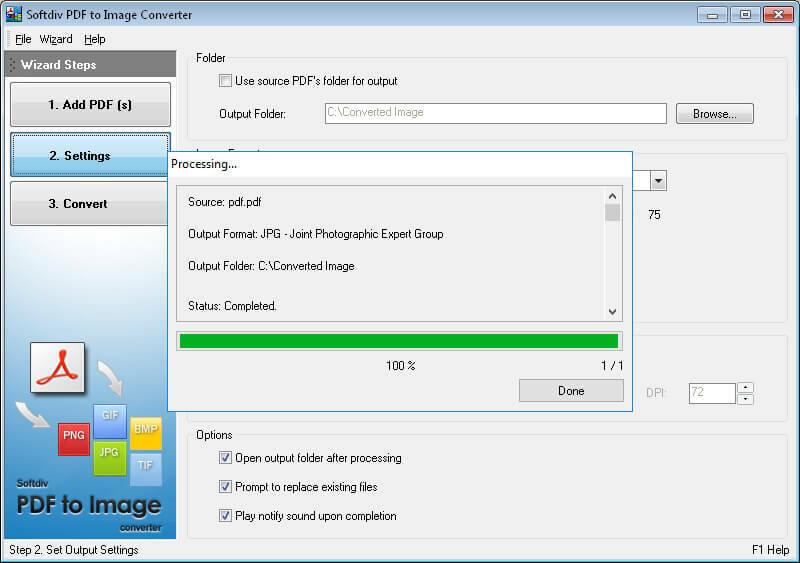 Import PDF file individually or from a whole folder for batch conversion. 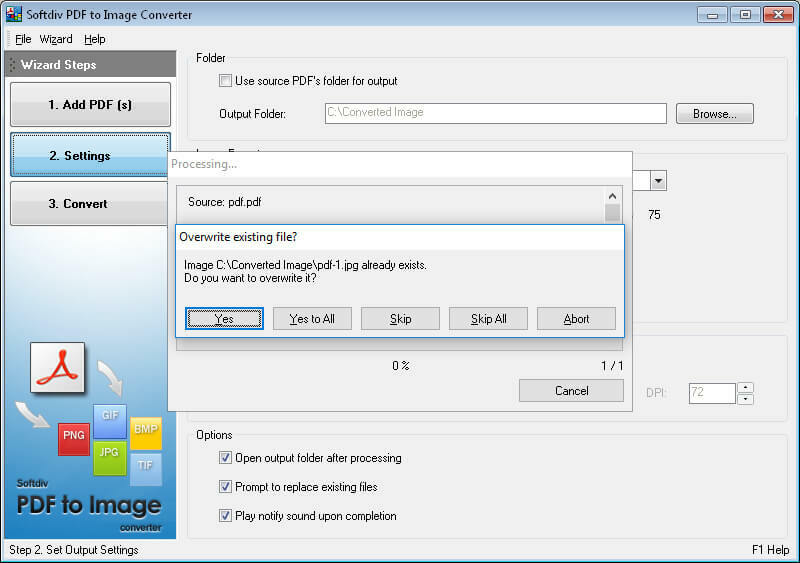 Convert PDF files to a fixed output location or to the source PDF folder. Options to customize the output image format settings, width, height, aspect ratio and DPI.